Rochester Chiropractors Dedicated To Helping You Be Pain Free And Live A Healthier Life! For more information or to schedule an appointment with our Rochester chiropractor, call (360) 273-9174 today! 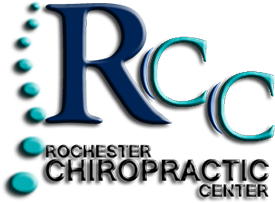 We have been serving Rochester and surrounding areas with quality chiropractic care for over 26 years and we look forward to helping you! If you’ve ever thought about visiting a chiropractor, we encourage you to take advantage of our new patient offer and visit Rochester Chiropractic Center today! We start with a consultation, where you can share your health history and more about your current condition. We’ll be looking for indicators that your condition will likely respond to chiropractic care in our office. The next step? A spinal examination, where we will check how your spine moves and functions. This will help us determine the health of your spine, and we’ll be looking for misalignment that is consistent with the problem you’re having. Before we start any treatment, all of your questions will be answered. The big questions are usually; What’s wrong? Can Chiropractic help me? How much will it cost? and How long will it take? You’ll know everything before we start. We have found that explaining everything up front eliminates any surprises and helps our patients feel the most comfortable moving forward. Spinal problems rarely resolve on their own and waiting often increases the chiropractic care necessary to turn things around. Most patients spend way too long suffering with their problems while they hope they will just go away. Most patients are only upset they waited so long before seeking help. The sooner you begin, the easier it is to turn things around quickly. We experience life through our nervous system. Those who want to optimize their health, be all that they can be and perform at their best should start a chiropractic care program as soon as possible. In most cases, we are able to make same day appointments. We are so confident that you will feel right at home here at RCC, all you have to do is call us at (360) 273-9174 and we’ll find a date and a time for your first appointment so you can begin chiropractic care today! You’re not committing to anything other than a consultation. If we can’t help you, we’ll let you know right away. If we can help, we’ll explain how our care will help you get great results in a non-invasive, all natural way. Sign-up using the form or call us at 360-273-9174 to take advantage of this exclusive offer.